The K-3 made with durable magnesium alloy body with stainless steel chassis, the K-3 is fully weather and coldproof due to the inclusion of 92 independent seals, K- available from November 2013 for a suggested retail price of $1,299.95 for body only and $1,699.95 for the kit including the DA 18-135mm F3.5-5.6 WR zoom lens. 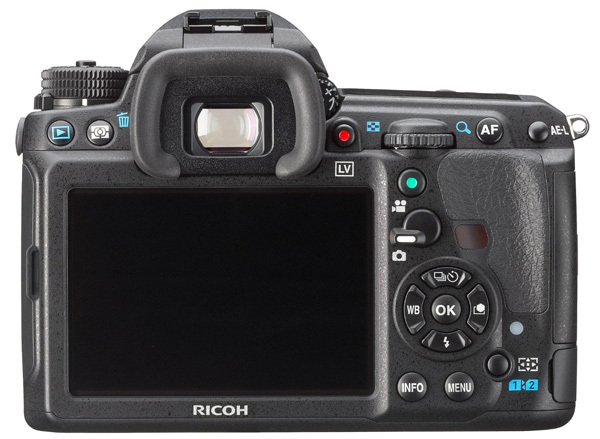 DENVER, CO, October 7, 2013 – Ricoh Imaging Americas Corporation (Ricoh Imaging) is pleased to establish a new standard of performance with the debut of the PENTAX K-3 advanced enthusiast DSLR. 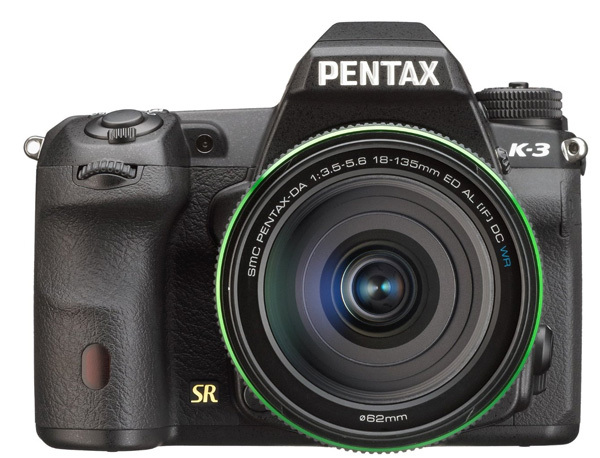 As the Premiere DSLR in Ricoh Imaging’s robust and full-featured APS-C lineup, the PENTAX K-3 brings unparalleled technology and advanced specifications presenting photographers with a solution that raises the bar while removing limitations. Elevating standard performance, the PENTAX K-3 boasts a 24 megapixel APS-C CMOS sensor, incredibly fast 8.3 fps (frames per second) frame rate, innovative selectable anti-aliasing (AA) filter technology and outstanding HD video performance; all while giving demanding photographers dual card slots for quick and easy image recording and seamless wireless remote capture and image transfer capabilities. Housed in the PENTAX K-3’s sleek and ergonomic body is a host of cutting-edge technology including the innovative and proprietary selectable AA filter which allows photographers to toggle anti-aliasing functionality on or off using the lauded PENTAX SR (Shake Reduction) mechanism. This breakthrough in imaging technology empowers photographers to retain greater control of image output while eliminating the need to commit to supreme resolution or superior moiré control by providing both options in a single camera body. Also new to the PENTAX K-3, and the APS-C category, is the PENTAX FLU SDHC memory card that delivers wireless connectivity with unprecedented functionality to a compatible PC or connected device via a web browser. Using this advanced technology, photographers are able to perform a variety of functions including inspect a live-view image, release the K-3’s shutter, shift the AF sensor point, and check images recorded on the card using any connected device with a web browser. And, thanks to its SD card-based, internal placement the PENTAX K-3 retains its weather-resistant, moisture-tight capabilities with no protruding devices preventing door closure. The K-3 also features an enhanced video recording experience including the ability to change from still image to video recording with the flip of a dedicated switch to capture full HD movie recording in H.264 format. The K-3 comes equipped with a headphone terminal and stereo mic terminal for external microphone connection. The user can also adjust the audio recording level manually and monitor sound levels during recording. In addition to a variety of creative special-effect modes, the K-3 also provides an upgraded interval movie mode, which captures a series of 4K-resolution movie clips (3840 x 2160 pixels) at a fixed interval. Rounding out the new and advanced capabilities offered in the PENTAX K-3 is a newly designed autofocus module, SAFOX11, which boasts 27 AF sensors and high light-sensitivity, covering a wide AF working range of –3EV to +18EV. Finally, the new Real-Time Scene Analysis System features an 86,000 pixel RGB light-metering sensor and improved algorithms that further enhance the accuracy of exposure, white balance and auto-focusing. The PENTAX K-3 will be available for purchase online at www.us.ricoh-imaging.com and retailers nationwide in November 2013 for a suggested retail price of $1,299.95 for body only and $1,699.95 for the kit including the DA 18-135mm F3.5-5.6 WR zoom lens. The PENTAX K-3 Premium Silver Edition* will also be made available in a limited quantity with only 2,000 units being offered worldwide. This limited-edition model features a silver body with a silver BG-5 battery grip designed exclusively for the K-3, making it a perfect match for the silver HD PENTAX DA Limited lens series, which is designed for unrivaled image rendering. This special package also includes an exclusive leather strap and silver D-BG5 battery grip. The PENTAX K-3 Premium Silver Edition will be available for purchase online at www.us.ricoh-imaging.com and retailers nationwide in November 2013 for a suggested retail price of $ 1,599.95. The PENTAX FLU SDHC 16GB memory card and D-BG5 battery grip will be available for purchase online at www.us.ricoh-imaging.com and retailers nationwide in November 2013 for a suggested retail price of $ 99.95 and $229.95, respectively. LCD Monitor Type: 3.2″ TFT color LCD with brightness/saturation/color adjustment AR coating and air-gapless glass. Mode Selection Green, Hyper Program (P), Sensitivity Priority (Sv), Shutter Priority (Tv), Aperture Priority (Av), Shutter & Aperture Priority (TAv), Metered Manual, Bulb, X-Speed, USER (3 presets). Mode Pallet Playback Image Rotation, Digital Filter, Resize, Cropping, Slideshow, Save as Manual WB, RAW Development, Index Print, Protect, Movie Edit, Extract JPG from Movie, Magnification: up to 16X, scrollable, quick magnification.